This playful set of two necklaces can be layered together or worn separately. The design combines different metal platings and both chains are peppered with clear and coloured crystals. 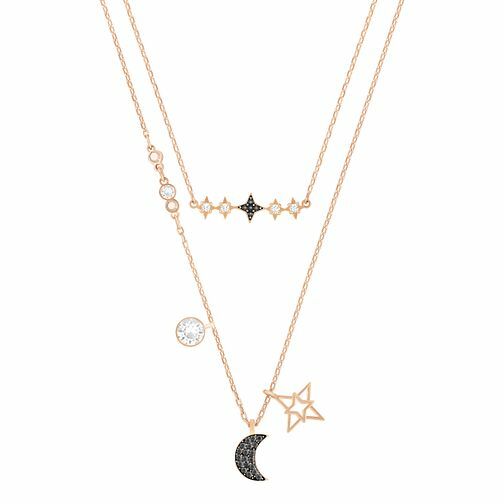 A delicate metal star and a pavé-embellished moon dangle from the longer chain.